The upcoming Southern Company Generation Technical Conference will have a number of companies on hand demonstrating the latest tools of the trade – and SPX Cooling Technologies will be one of them. 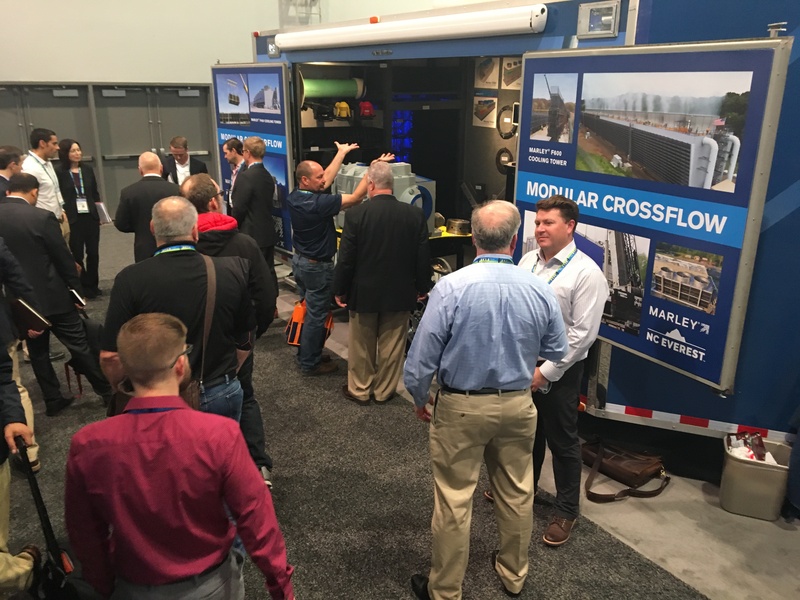 SPX will showcase its mobile trailer with displays of field-erected cooling tower components during the upcoming technical conference, August 21-22, at the Birmingham Jefferson Convention Complex, in Birmingham, Ala. According to a company press release, visitors to SPX Booth 1224-1228 can tour the display trailer and compare the quality and design of Marley components with other OEM products in side-by-side, hands-on displays. The mobile trailer highlights several Marley innovations, including the new Marley M Series Geareducer Gear Drive, Comp-DS Driveshaft, HP 7000 Fan and a range of heat transfer fill types. The new M Series Geareducer gear drive features gears of high strength, case-hardened alloy steel machined to AGMA Quality Class 9 and above. Designed to fit directly into non-Marley cooling towers for easy replacement, it has heavy-duty double row bearings for 100,000 hours of life or more. To further extend service life, its finned exterior and large oil passageways help maintain lower oil temperatures. The M Series Geareducer gear drive operates without the addition of adapters, oil pumps, filters or coolers. The Marley Comp-DS Driveshaft offers a high-performance, lightweight and low-maintenance alternative to steel driveshafts. Marley’s patented, carbon-fiber flexible elements with slip-fit, stainless steel hubs are easy to install and align. All materials are chosen specifically for cooling tower duty and to provide maximum protection against corrosion and UV damage. The Marley HP7000 Fan features a unique flared-tip design that creates a performance advantage by aiding air movement next to the fan cylinder wall. The airfoil is optimized to move more air with less effort than fans with straight blade tips. Also offering reduced drag loss, the HP 7000 Fan results in a nine percent power reduction compared to another OEM fan on display in the mobile trailer. The mobile trailer also showcases heat transfer fill media types suitable for a range of water qualities. Scaled-down cross-sections of Marley F400 counterflow and F600 crossflow towers illustrate design and component differences of each tower type.